It is the season of trade shows and networking for many in the industry. We recently have attended events like SIBEC 2015 and the 2015 NRPA Conference, both of which were fantastic. Now we enter October and it is time for the next industry gathering, Club Industry 2015. 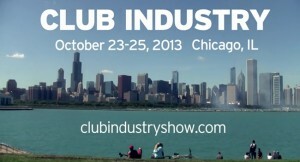 Club Industry 2015 will be hosted at the McCormick Place in Chicago. For once we have a show in our neck of the woods. This show is a little different than the previous two in terms of our activity and things to do. At NRPA we had our own booth, and at SIBEC it was very meeting focused. 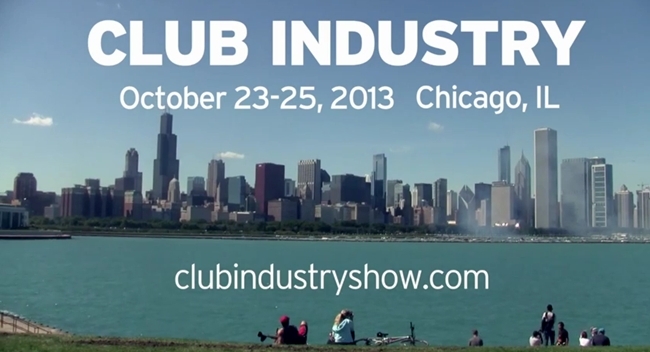 At Club Industry 2015 we will not have a booth, but instead browsing the booths ourselves. We also have a few meetings planned and hope to have some on the spot ones once we meet people. So if you are attending club industry let us know and we can see you. In the grand scheme of things, Club Industry 2015 is a relatively small show compared to the big names. But always quality over quantity, Club Industry 2015 is supporting some great fitness companies, see the full list here. Going to trade shows like this are very beneficial not only to us but everyone. Even if you do not network at all or do any business it can still be helpful. Seeing where the industry is and where it is going, is just as good for your business. Seeing what others in the industry are doing shows you both how to grow and how to not. Seeing the language companies use, products/services being advertised, communicating with other like companies all assist you in analyzing and understanding the industry. The sport and fitness industry is both growing and struggling at times. So attending industry events like Club Industry 2015 helps out the industry as a whole. Especially as technology works its way into the sport and fitness wold more and more, we have to work together and adapt. We hope to meet some great contacts at Club Industry 2015. Stay tuned for an update post on who we met and what we did.